Hotels and inns are a place for people to get away from it all or a place to rest their heads when on a business trip. They are also the location for special events such as weddings or business conferences. Some of the best hotels and inns are also the home to the souls of individuals whose untimely and unfortunate death occurred in one of these establishments. In Michigan there are numerous hotels and inns that provide the living with wonderful accommodations. These same establishments might provide the guests and staff with supernatural activity and visits by ghostly apparitions. Join us and explore the most haunted hotels in Michigan. 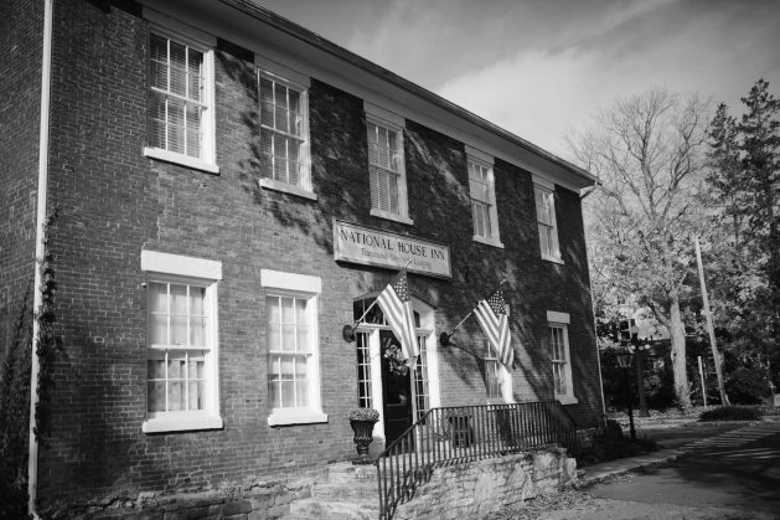 Established in 1835, the current National House Inn served as a halfway house when it first opened its doors. After more than 100 years as a halfway house and apartments it became a bed and breakfast in 1976 and has remained as such. Paranormal activity began to be reported following renovations on the original building. Since that time people have reported seeing the likes of a woman in a red dress floating, not walking, around the halls. It is possible some of the unusual noises, banging, and activity are due to the inn being used by the underground railroad as a stopping point. The Inn on Ferry Street is a collection of six different historic buildings that have been around since the late 1800s. Each of the buildings had different purposes. 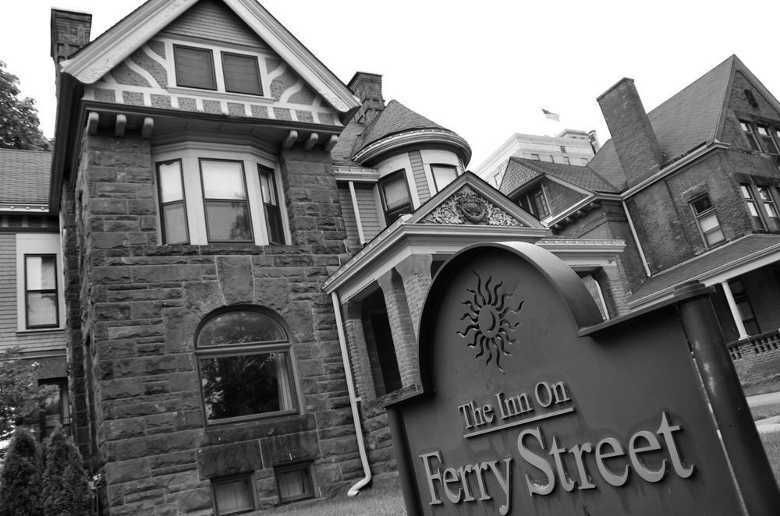 Today, the Inn on Ferry Street is a popular bed & breakfast in Midtown Detroit. 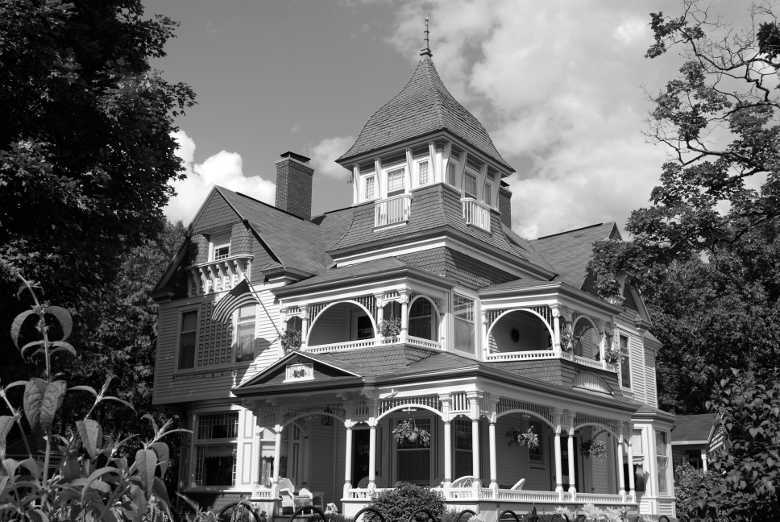 Along with the colorful history of the area, there are rumors of ghosts haunting the B&B. People who are booked into Room 4102 of the Owen house might have a very unpleasant encounter with the resident ghost. Numerous reports by guests claim the apparition of a man will grab your arm if you stay in the room. Another ghost that is believed to haunt the Inn on Ferry Street roams the halls in a wedding dress. 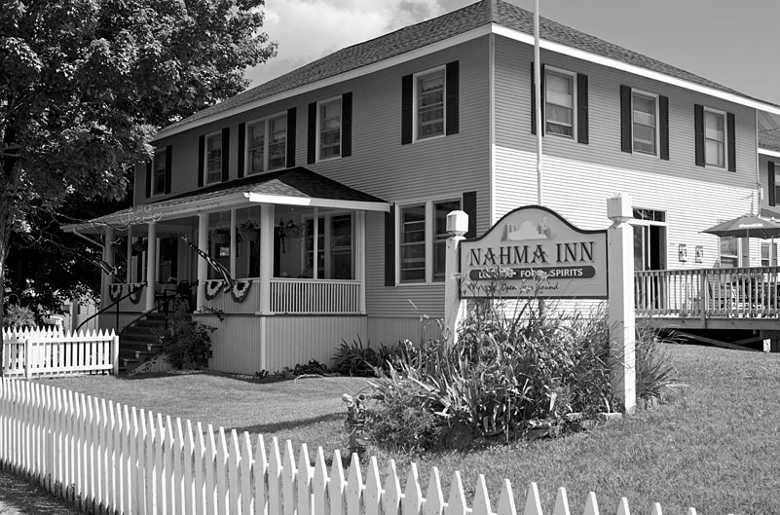 The Nahma Inn has been around since 1909. The inn was to provide a place to stay for the Bay de Noquet Lumber Company employees. With time, the inn eventually became what it is today, an ideal vacation getaway. One thing that has not changed is the presence of one of the original residents, Nell Fleming. Miss Nell, as she is affectionately called, once dated the lumber company’s founder, Charlie Good. One story claims he left her and her ghost is seen looking out a window on the second story in hopes of his return. People who have stayed in the room that she once inhabited claim she is still around. There are claims that she moves the bed as well as the belongings of people booked in her former room. She has also been known to rearrange and organize things in the kitchen and other room. In addition people have seen dishes and glasses slide off tables as well as hearing footsteps. Long before the Henry went by its current name it was a Ritz-Carlton. The large hotel had a considerable amount of paranormal activity prior to its rebranding as the Henry. Guests at the hotel claim that doors would open and close on their own, and lights switched on and off without the assistance of a living person. The French doors in room 418 reportedly opened on their own. Furthermore, once the French doors were secured they would jiggle with no one touching them. Lights in that room would also reportedly turn off and on without assistance. The man that reportedly causes all of the disturbances remains unknown. Some people claim following the hotels name change the paranormal activity stopped but others still believe this is one of the most haunted places in Michigan. The Red Apple Restaurant and Inn in Wayne is among the most haunted locations in Michigan. There are stories that a man was murdered at the restaurant by his waitress. The lack of tip by the gentleman apparently sent her over the edge and she stabbed him to death. People who have visited the Red Apple have reported ghostly activity in both the restaurant and room 17 of the inn. There are claims that lights in the restaurant swing back and forth on their own. Guests state the ghost will move the small bottles of shampoo left for them. He also hides the remote for the television, moves the Bible from the drawer, and has been known to throw lights and turn others on. The Landmark Inn has a long history of providing luxury accommodations for its guests since the 1930s. Some of those guests include the likes of Duke Ellington, The Rolling Stones, Abbott & Costello, and Amelia Earhart. She reportedly stayed in the hotel in 1932. Earhart’s ghost apparently continues to visit Room 502 at the hotel. Guests of the room are said to hear unusual sounds coming from beneath the bed as well as lights that flicker. A handful of people over the years have claimed that they have seen what appears to be her ghostly figure in the room. Her ghost appears to be the only one that frequents the Landmark Inn. The origins of what is now the Grand Victorian Bed & Breakfast are on the less than happy side of things. Henry Richardi had the home built in 1895 as he was hoping the object of his affections would agree to marry him upon seeing the home. His hopes were crushed and he never married the woman nor lived in the home. It is said when the home sat abandoned odd lights would appear in the cupola. Some people claim that his spirit visits the bed and breakfast on occasion. Frank Henderson had a dream of a grand home. That home became a reality in 1895 when he and his family moved into the residence. The grand home did not remain in the family long as Frank Henderson died in 1899 and in 1908 his widow left the building. Today the Henderson Castle is an exquisite bed and breakfast, restaurant and event location. It is also one of the most haunted hotels in Michigan because of the numerous ghosts at the Castle. Among the most famous ghosts are the original owners, Frank and Mary. Mary has been seen at the top of one of the staircases. Voice recordings of someone saying, “Hey” and a woman saying, “Flowers and candy,” have been recorded by paranormal investigators. A young boy reported seeing a woman in Victorian clothing in the room that once served as Mary Henderson’s changing room. Other people have experienced the sounds of footsteps when no one else is around, the feeling someone is moving up and down the staircase, and more. The ghosts of a little girl, a dog, and a soldier, Clare Burleigh, who served in the Spanish-American War with the Henderson’s son has been seen.